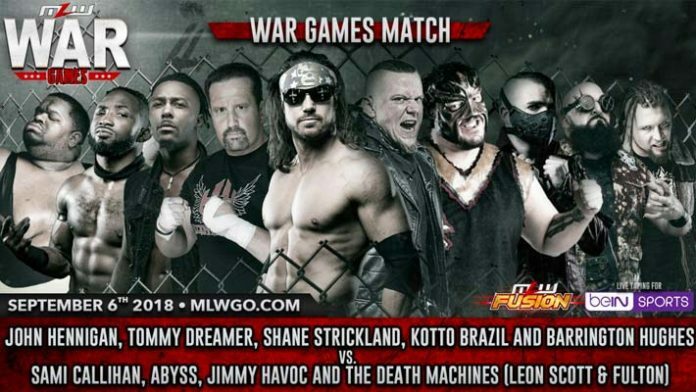 Major League Wrestling goes to war this Friday night on national TV as the 2018 MLW WAR GAMES® match headlines MLW FUSION, the league’s weekly series on beIN SPORTS. The program will air this Friday night, September 14, at 8 p.m. ET on beIN SPORTS with Tony Schiavone and Rich Bocchini calling the action from the historic War Memorial Auditorium in South Florida. This episode of MLW FUSION will also be available like all episodes of MLW FUSION Saturday night 6:05pm on MLW’s YouTube channel to watch on demand. Subscribe to the channel at: http://www.youtube.com/majorleaguewrestling. 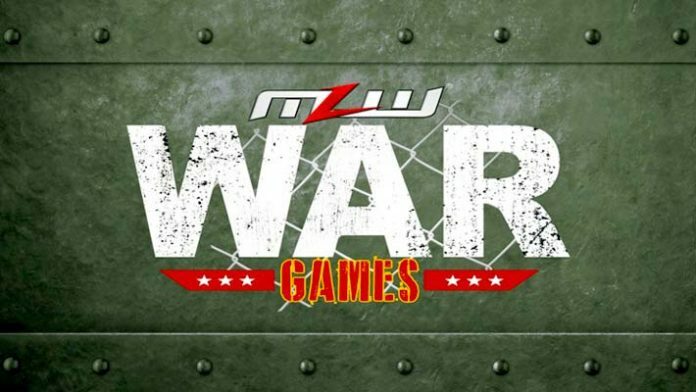 For the first time in 15 years MLW will present a WAR GAMES® match featuring the 2-ring steel cage encounter. WAR GAMES® will mark the MLW debuts of Tommy Dreamer and Abyss, both competing for the first-time ever in a WAR GAMES® match. Unleashing terror throughout MLW, Sami Callihan and his Death Machines have targeted underdog Kotto Brazil and the mighty 469 pound Barrington Hughes after taking out their childhood hero MVP in a Boiler Room Brawl on MLW Fusion. All summer long Kotto and Barrington have clashed with Callihan and his Death Machines on MLW FUSION. This Friday night there will be no place for them to go as they step foot in the 2 ring steel cage WAR GAMES® match. Callihan is also attributed with ending Strickland ‘s 3-month World Heavyweight Title reign and has been battling the ex-champion all summer long. John Hennigan and Callihan collided in the final stages of the Battle Riot match and sources indicate there are undisclosed issues between the two that may be revealed on MLW Fusion in the weeks ahead. Tommy Dreamer was reportedly recruited by John Hennigan due to his penchant for the extreme and if there is one match that is extreme, it’s a WAR GAMES® match. Abyss makes him MLW debut by aligning with a murderers row for this year’s WAR GAMES® as Sami Callihan captains the Ravagers featuring Jimmy Havoc, the Death Machines (Fulton and Leon Scott) and now Abyss. The team will go to battle against John Hennigan, Tommy Dreamer, Barrington Hughes, Kotto Brazil and Shane Strickland. Now the battlefield is set and you can watch it for FREE in FULL on beIN SPORTS this Friday night at 8pm ET.